Planning a wedding can be an exciting, but overwhelming, experience. With so much to consider, it is important to stay organized. Once you have the major details complete, you’ll want to start thinking about the particulars. To prepare for your big day, make sure that you have the following items ready. Plan at least two months in advance of the wedding to order your wedding bands. This allows for some wriggle room if you need to have the rings sized. 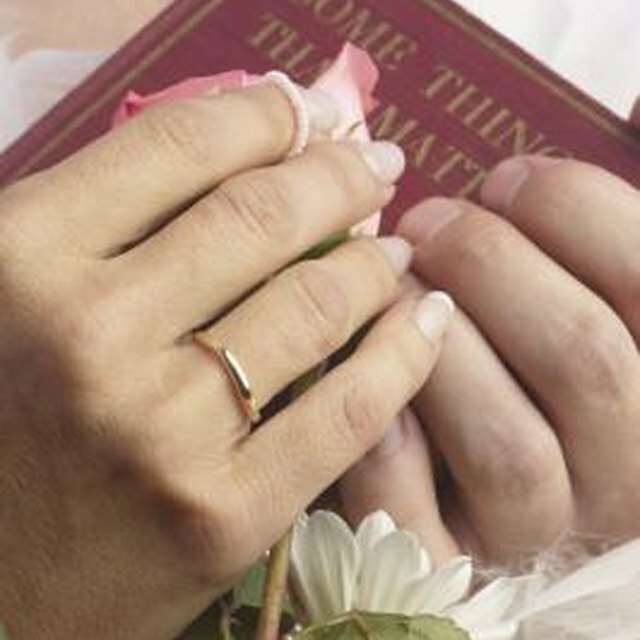 Keep the rings in a safe place until the ceremony, when the groom can give them to either the best man or ring-bearer. If your ring-bearer is very young, consider using imitation rings in the procession. The best man can then hand the real wedding bands to the officiant . Provide a list of requested songs (and any you do not prefer) to your disc jockey or band beforehand. Keep a copy available during the reception. This is just one more way to ensure that your desired music is played. If you created special programs for your ceremony, be sure to deliver them, along with any other items (baskets, bows, a unity candle) to your location before the ceremony. Some locations/churches allow you to drop off materials a few days prior to the event. 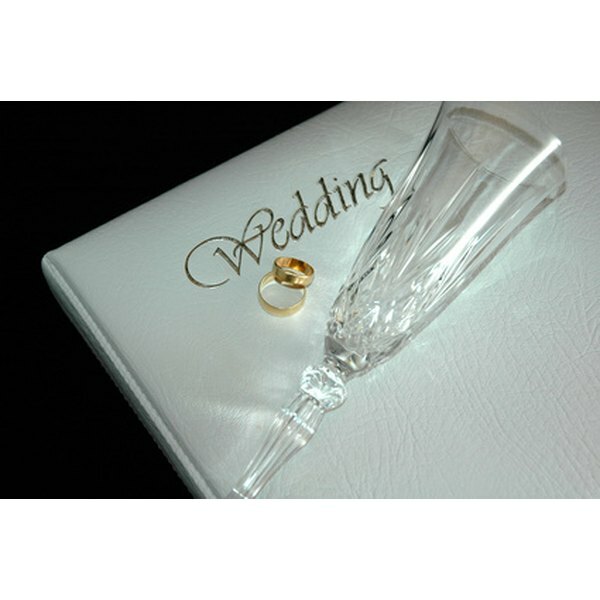 Remember that reception supplies, such as printed menus, place cards, guest favors, toasting flutes, formal cutting utensils, a signing mat and pen and other personal items, can be delivered to the reception site before your wedding day. Along with your wedding dress or tuxedo, make sure to remember any accessories including shoes, undergarments, garter, stockings, belt, socks, even an extra undershirt. Danielle Herzog is a freelance writer in the midwest. Her articles have appeared in the Omaha City Weekly, the Northern Virginia Journal and The Knot.com. Her positions have included restaurant reviewer, style writer, and wedding & event planning columnist. She loves to share her varied life experiences through her writing and does so with a sense of humor.